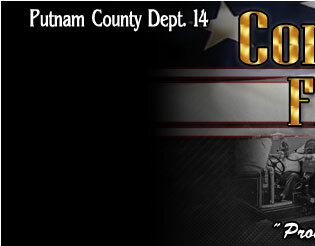 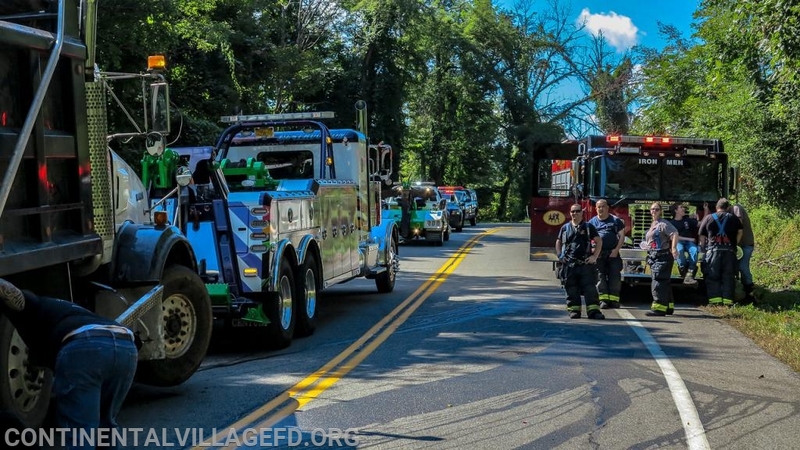 On Saturday morning the Continental Village Fire Department along with Peekskill Ambulance Corp were dispatched to the Bear Mountain Bridge Road for a reported motor vehicle accident with injuries. 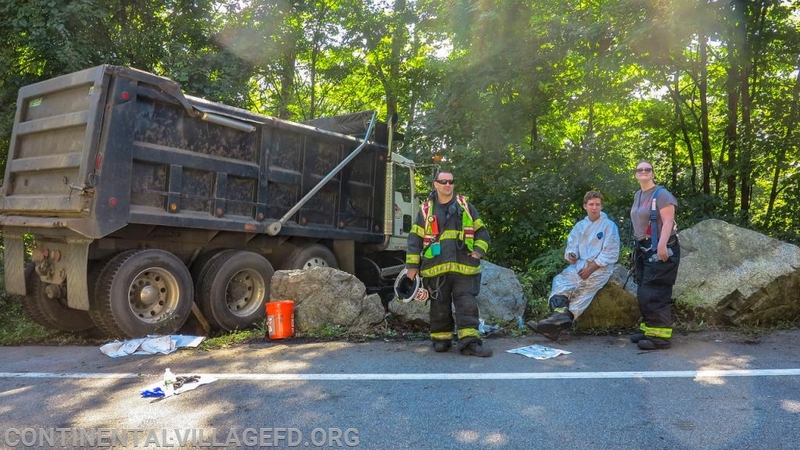 When the first unit arrived on scene he reported that a dump truck had collided with a car and the dump truck was off the road. 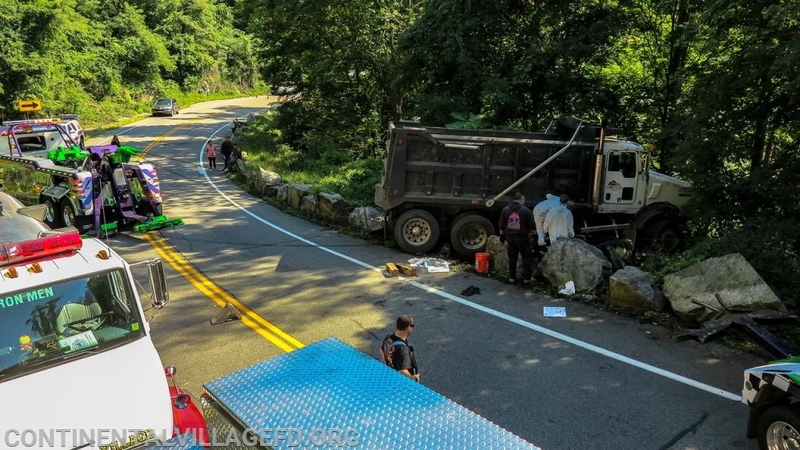 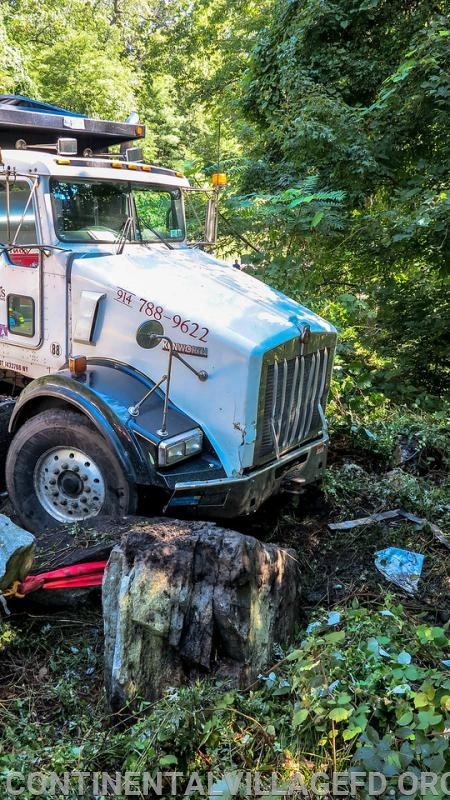 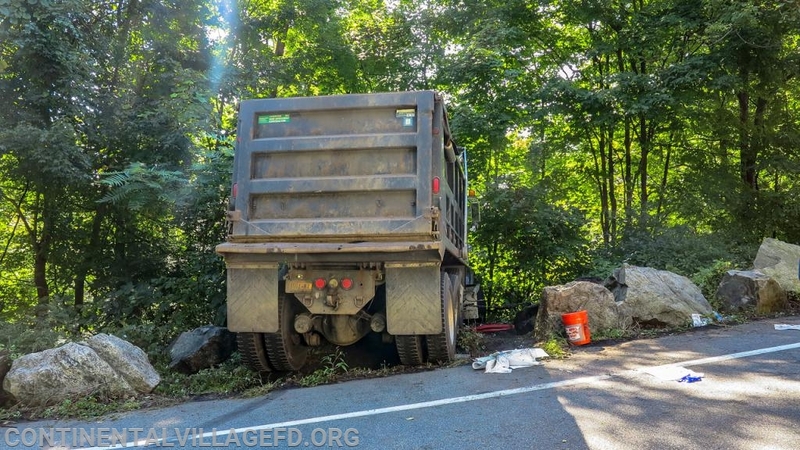 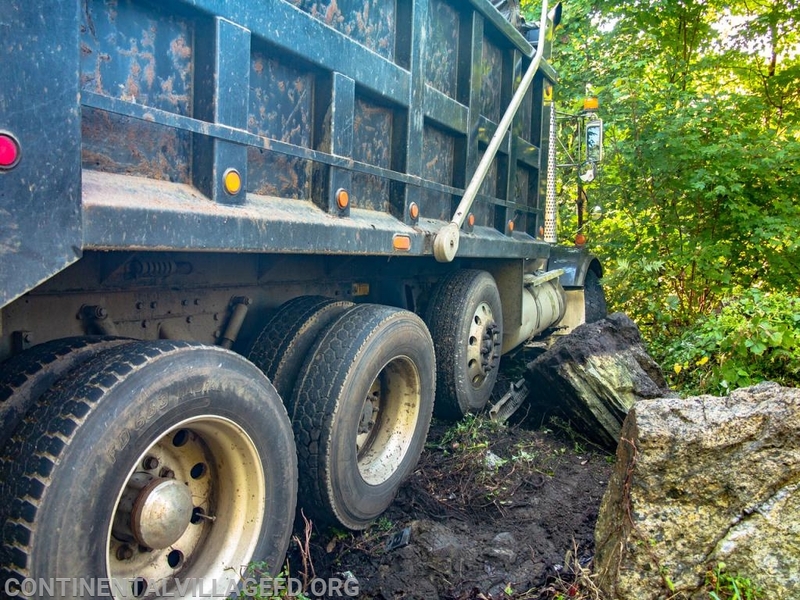 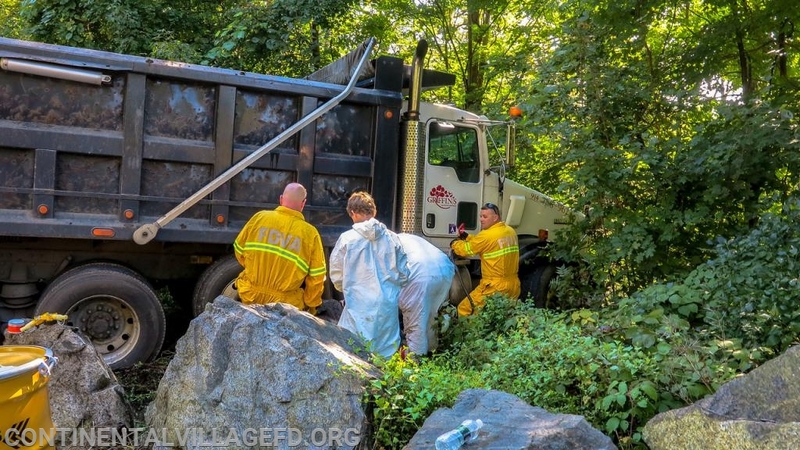 Upon further investigation the chief found that the Dump truck had crashed through the boulders lining the side of the road coming to a stop at the edge of a steep slope and was leaking diesel fuel from its tank. 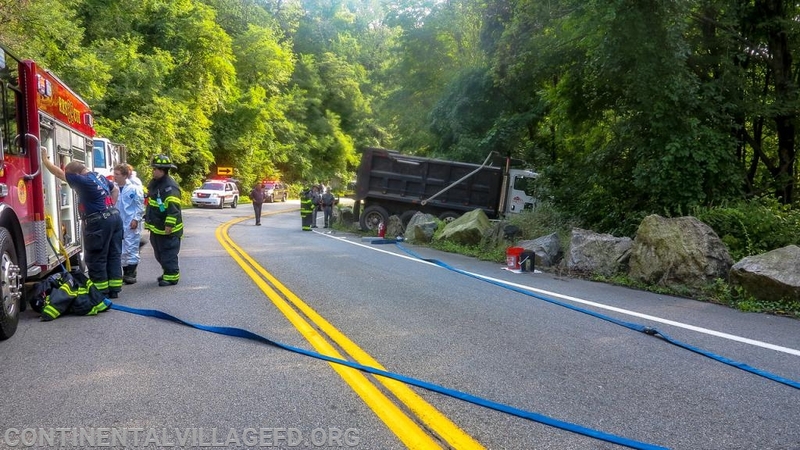 The departments tanker was requested to the scene in addition to the rescue that was already in route. 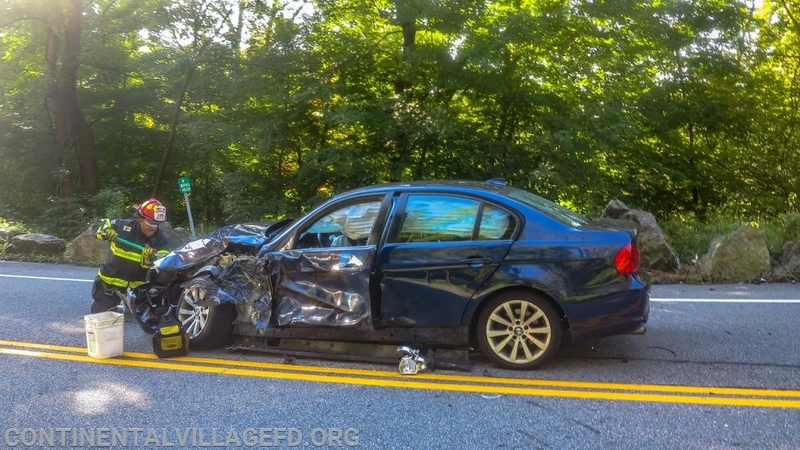 While this was happening EMS quickly assessed both vehicle operators and neither requested transport to the hospital. 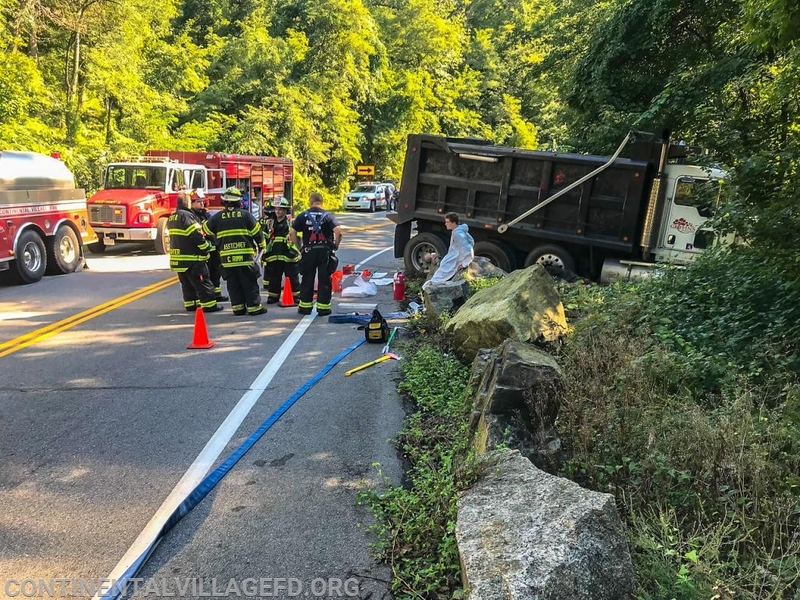 The Montrose Veterans Affairs Hazmat team was requested to the scene to assist with offloading the diesel fuel from the leaking tank and fire units cleared the scene around 1PM after the truck was removed from the scene.